Once upon a time there were lots of cavemen. They’d take their spears and go and kill a mammoth. Or a rabbit. Or whatever they could find. Then they’d bring their feast home for dinner. Ultimately you could only eat what you killed. If you don’t develop yourself, you go hungry. If you don’t have those hunting instincts, you go hungry too. 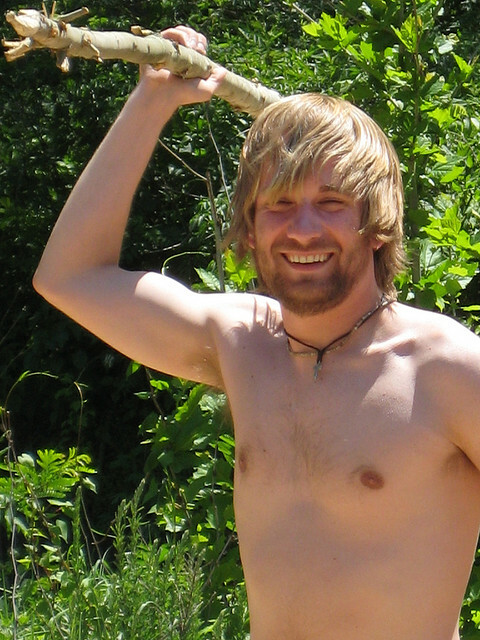 Freelancers, entrepreneurs, self-employed people, commission-only salespeople… We’re all cavemen. We eat what we kill. We’re responsible for what we bring home. But shouldn’t that be something schools teach? It’s something that most young people and students don’t know how to do. That ability to take risks. That ability to be responsible for what happens to you. The ability to be independent. The ability to thrive on the plains full of unknown people. Because when we eat what we kill, we’re in control. And I think having that control over our lives makes us happier.